Shop On Stage TCM9150 U-Mount iPad or Tablet Case from AMS and enjoy Fast & Free Shipping. 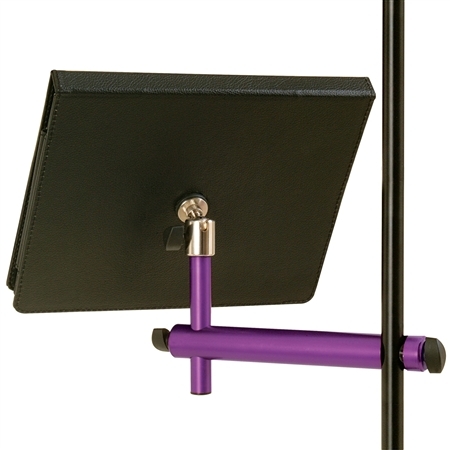 With On Stage TCM9150 iPad or Tablet Mounting System, the mount bar and case are one in the same! The case is designed to hold and protect an iPad or iPad2 without hindering access or Wi-Fi reception. Designed with musicians in mind, the system mounts to microphone stands and other stage gear. 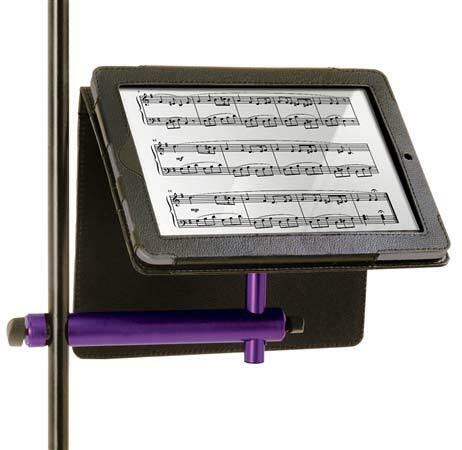 The On Stage TCM9150 iMount Tablet Mounting System is the new way for musicians and artists to utilize and case their Apple iPads. Performers task iPads in stunningly creative ways every day. They become set lists, sheet music, lighting controllers, mixing boards, playback devices, lyric sheets, intercoms, even instruments themselves. Every corner of the performing arts has embraced the tablet computer, so the On Stage iMount System is specifically designed to meet the needs of live performers, studio musicians, and production engineers. It seamlessly integrates the iPad with their existing microphone stands, instrument hardware, and other gear.